We are putting forth a moderate scope of Cladding Panelfor roofing and cold room walling. These boards involves two facings of generally thin metal sheet profiled of high quality encasing a center, which is moderately thick and light with obliged solidness. The facings are of aluminum or steel. Since, warming or cooling is one of the biggest working costs in a building. Subsequently it is critical that each one building has great warm protection that suits the utilization of the building. Claddings offered by Pioneer are made out of rigid polyurethane foam known as PUF. This can be customized as per the requirements produced by clients. Our claddings are aesthetically perfect with long lasting life. These are durable with best weather resistant. Also, these are economically and ecologically sustainable. Pioneer India is offering cladding systems, metal cladding systems, cladding systems india to their satisfied customers being the leading cladding systems manufacturer, metal cladding systems manufacturer, cladding systems manufacturer india. Allows light fixtures, a/c diffusers, pipes, etc. Our metal roofing sheets are classic enough with truly matchless beauty. 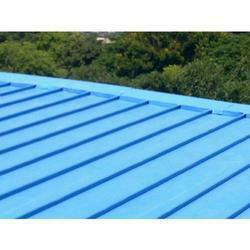 These are high performance metal roofing . These work well against all extreme weather conditions. Our metal roofing systems are certainly an excellent system you have ever used. Broadly, these can be used in houses, condos, stores, shopping centers, schools, and so on. 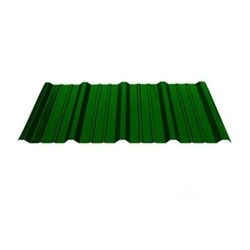 Pioneer India is offering metal roofing, metal roofing system, metal roofing in india, metal roofing to their satisfied clients being the leading metal roofing manufacturers in India. Excellent resistance against all extreme weather conditions. 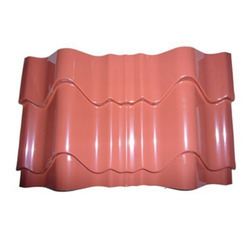 Pioneer India is providing re roofing solutions, re roofing solutions in india, re roofing materials as the most trusted re roofing materials manufacturer, re roofing solutions provider, re roofing services provider. Roofing (Pioneer Hi-RIB) provided by Pioneer India is truly one of the most cost effective and the grade one metal roof systems. 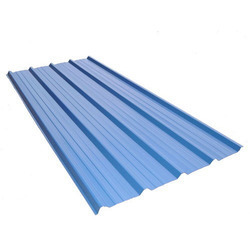 These sheets are manufactured using color coated Galvalume/Galvanized, Soft Steel and High Tensile Steel. We have made our metal roof using high quality material sourced from reputed vendors across the country. PMS profiles when used for Roofing & Cladding application are fixed to the steel supports / purlins with zinc coated / galvanized Hex-head self drilling fasteners with integrated Metallic washer & EPDM neoprene waster assembly. The fasteners are fixes mechanically with electric tools through the crests and through. Wall Cladding Services offered is handled by our experienced team of professionals who can develop solutions as demanded by customers. 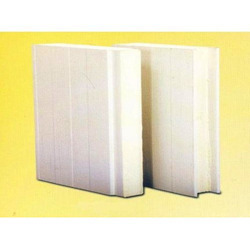 Wall Cladding is sheeting that is used to cover a building. No matter you need of it for roof of the building or the wall, our wall cladding offers perfect solution. These sheets work well against wind and pressure. These are provided in several colors as per the requirement of applications. Clients are requested to contact us for further details about the products. 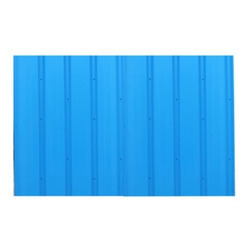 Pioneer India is offering wall cladding India, hi rib wall cladding, wall cladding sheets, wall cladding systems, wall cladding services to their satisfied customers being the leading wall cladding sheets manufacturers in India. Looking for Roofing & Wall Cladding ?